"European encounters with Asia and the Americas found echoes in the theater, church, and chamber, as music itself found new ways to convey meaning and provoke a wide range of feelings. Ralph P. Locke's magisterial tour of the exotic takes us not only to lands both far and near, but also through changing musical worlds laced with danger and excitement." 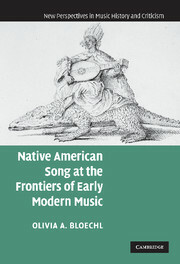 "In this immensely learned and amazingly wide-ranging companion to Musical Exoticism … Locke moves back in time to consider the musical portrayal of Otherness in European music from 1500 to 1800. [He] is a cultural historian of the highest order: he draws together a broad range of literary, historical, visual, and musical materials to demonstrate how the performing arts participated in the delineation of center and periphery, Us and Them. Particularly impressive is [his] attention to the semiotic fluidity of works in performance and his elucidation of the exotic as 'relational' rather than essential, even as he argues for a historically grounded interpretation of the musical depiction of the Other. [This book] should be required reading for anyone interested in this period, and I expect it will have a profound effect on our understanding of how the imagined Elsewhere shaped European culture." 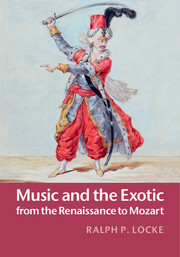 "With a rich and diverse set of compelling case studies, and many beautiful images, Music and the Exotic from the Renaissance to Mozart offers a gold standard for the scholarly interpretation of cross-cultural representation through music in the early modern period. 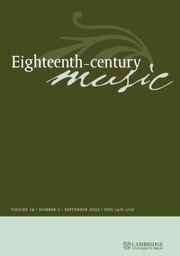 Ralph P. Locke shows how Europeans used musical works to engage with the wider world, not merely as a passive reflection or commentary, but as a symbolic means of representing to themselves 'exotic' cultural identities for specific political purposes." "Fascinating, entrancing and thoroughly enjoyable. Locke's survey and (re)evaluation of works from L'homme armé masses of the fifteenth century to Mozart's portrayal of Osmin's rage in Die Entführung aus dem Serail is truly inspiring … Ambitious but nuanced explorations characteristic of post-Edward Said scholarship. Exoticism as explored by Locke … ranges across a dazzling swathe of historical material from the appropriated dance styles of folk culture to the choruses of Handel's Old Testament oratorios … This is Locke's great strength as a writer and historian: what sounds so abstruse in theory is explored with such enjoyable relish in musical examples." 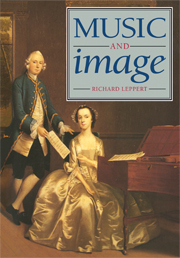 "Locke's consideration of Venetian opera, French Baroque opera and eighteenth-century [operatic] comedy is detailed and insightful." "This is a fascinating study which argues compellingly that exoticism - a troublesome term! - resides in relationships, which are formed within and between cultural contexts and practices. Locke identifies and evaluates the fruits of such cultural transferences during the years 1500–1800, which were based variously upon ignorance, assumption, knowledge, caricature, indifference, curiosity and admiration - and often a mix of many such perspectives. 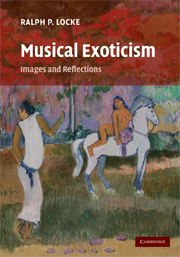 And, as he has previously shown in his companion work, Musical Exoticism, images of Otherness have been continually revived and developed in the years since - images of 'Them' which can help us to understand 'Us'." Afterword: a helpfully troubling term. Ralph P. Locke is Professor and former Chair of Musicology at the University of Rochester's Eastman School of Music. 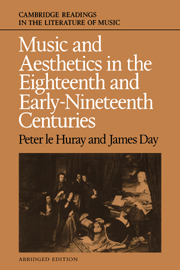 His previous books are Music, Musicians, and the Saint-Simonians (1986), Musical Exoticism: Images and Reflections (Cambridge, 2009) and the co-edited Cultivating Music in America: Women Patrons since 1860 (1997). He has published numerous articles and book chapters, and contributed to major reference works, including Grove Dictionary of Music and American National Biography. 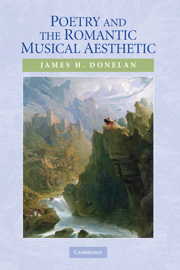 His study of conceptions of the exotic Other in Verdi's opera Aida (Cambridge Opera Journal) won the H. Colin Slim Award from the American Musicological Society.